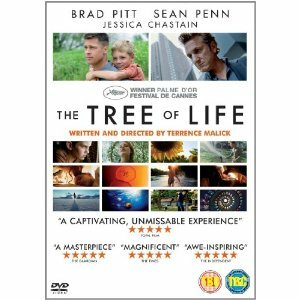 I am not sure about this film, I like Terrence Malick and I think The Tree of life is very much made in the style of “The Thin Red Line”. It moves in the same way and is very much a story told through the whispers of the narrators. The story is good but the visuals are excellent. See it on a HD TV as the colours are excellent. There is also good preformances by Brad Pitt and Sean Penn. I liked it but it will not be every body’s cup of tea. But it will certainly make you think and provoke ideas of life and how thinks happen through your life. The long front lawns of summer afternoons, the flicker of sunlight as it sprays through tree branches, the volcanic surge of the Earth’s interior as the planet heaves itself into being–you certainly can’t say Terrence Malick lacks for visual expressiveness. The Tree of Life is Malick’s long-cherished project, a film that centres on a family in 1950s Waco, Texas, yet also reaches for cosmic significance in the creation of the universe itself. The Texas memories belong to Jack (Sean Penn), a modern man seemingly ground down by the soulless glass-and-metal corporate world that surrounds him. We learn early in the film of a family loss that happened at a later time, but the flashbacks concern only the dark Eden of Jack’s childhood: his games with his two younger brothers, his frustrated, bullying father (Brad Pitt), his one-dimensionally radiant mother (Jessica Chastain). None of which unfolds in anything like a conventional narrative, but in a series of disconnected scenes that conjure, with poetry and specificity, a particular childhood realm. The contributions of cinematographer Emmanuel Lubezki and production designer Jack Fisk cannot be underestimated in that regard, and it should be noted that Brad Pitt contributes his best performance: strong yet haunted.